One study after another shows American students ranking behind their international counterparts in the STEM fields�science, technology, engineering, and math. Businesspeople such as Bill Gates warn that this alarming situation puts the United States at a serious disadvantage in the high-tech global marketplace of the twenty-first century, and President Obama places improvement in these areas at the center of his educational reform. What can be done to reverse this poor performance and to unleash America’s wasted talent? David E. Drew has good news�and the tools America needs to keep competitive. 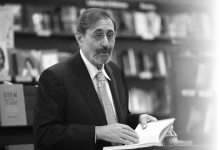 Drawing on both academic literature and his own rich experience, Drew identifies proven strategies for reforming America’s schools, colleges, and universities, and his comprehensive review of STEM education in the United States offers a positive blueprint for the future. These research-based strategies include creative and successful methods for building strong programs in science and mathematics education and show how the achievement gap between majority and minority students can be closed. To secure a competitive advantage both in the knowledge economy and in economic development more broadly, America needs a highly skilled, college-educated workforce and cutting-edge university research. 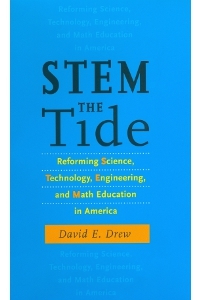 Drew makes the case that reforming science, technology, engineering, and mathematics education to meet these demands, with an emphasis on reaching historically underserved students, is essential to the long-term prosperity of the United States. A crucial measure, he argues, is recruiting, educating, supporting, and respecting America’s teachers. Just landed your first faculty position? Close to getting your Ph.D., and planning a career in academe? What will academic life be like? How do you discover its tacit rules? Develop the habits and networks needed for success? What issues will you encounter if you�re a person of color, or a woman? How is higher education changing? 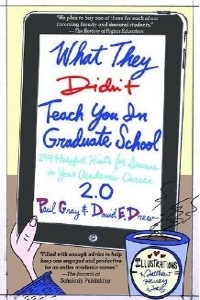 Paul Gray and David E. Drew share their combined experience of many years as faculty and (recovering) administrators to offer even more insider advice�the kind that's rarely taught or even talked about in graduate school � to help you succeed. The 100 new hints expand sections on the dissertation process, job hunting, life in the classroom and on dealing with students, as well as on matters that affect readers� careers, such as research, publication, and tenure. The book concludes with a tongue-in-cheek appendix on How to Become a Millionaire while an academic. Science Development: An Evaluation Study. Washington, DC: National Academy of Sciences, 1975, 182 pages. Portions of the above book are reprinted in the companion volume: Science Development, University Development and the Federal Government, Washington, DC: National Academy of Sciences, 1975, 48 pages.